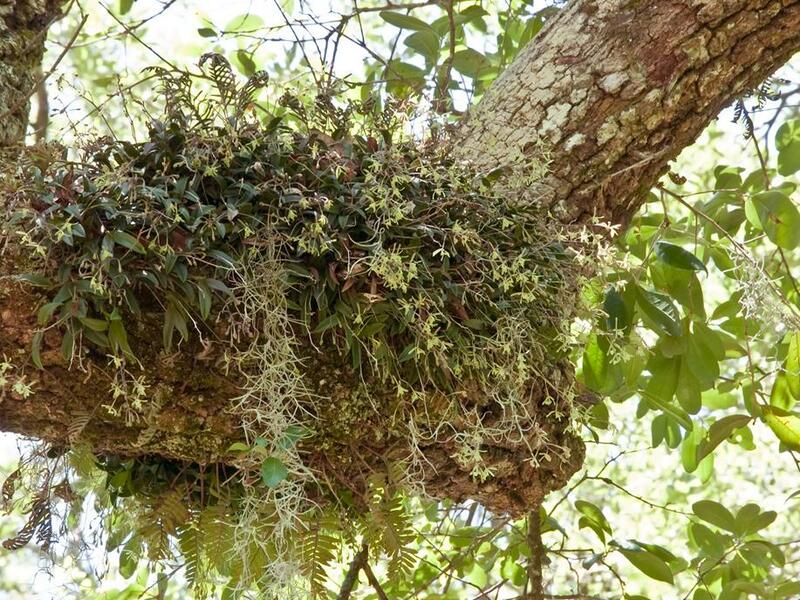 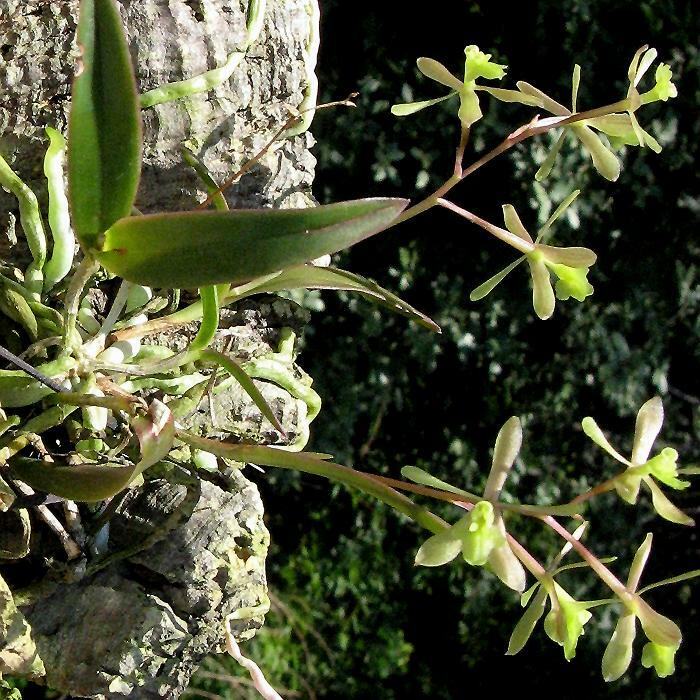 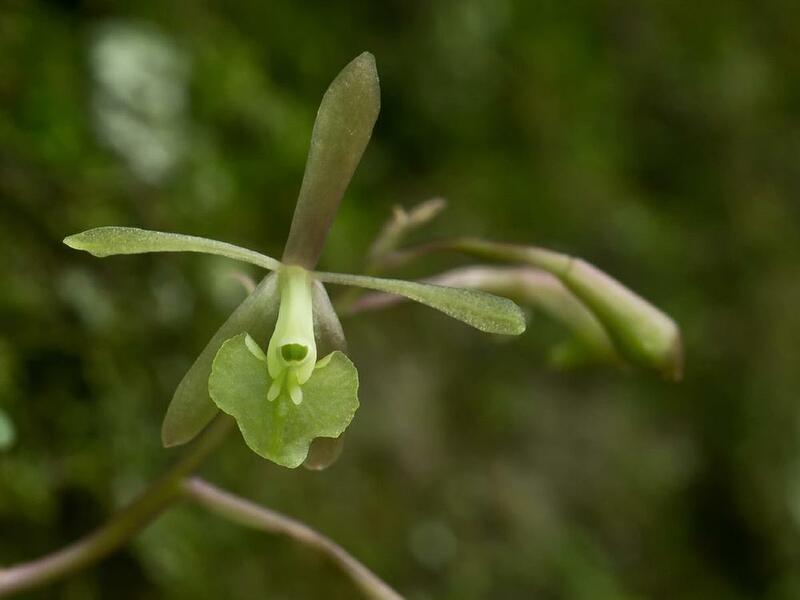 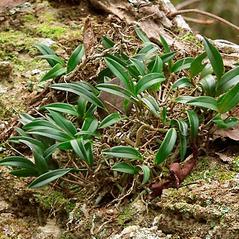 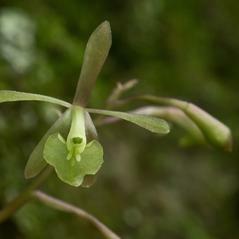 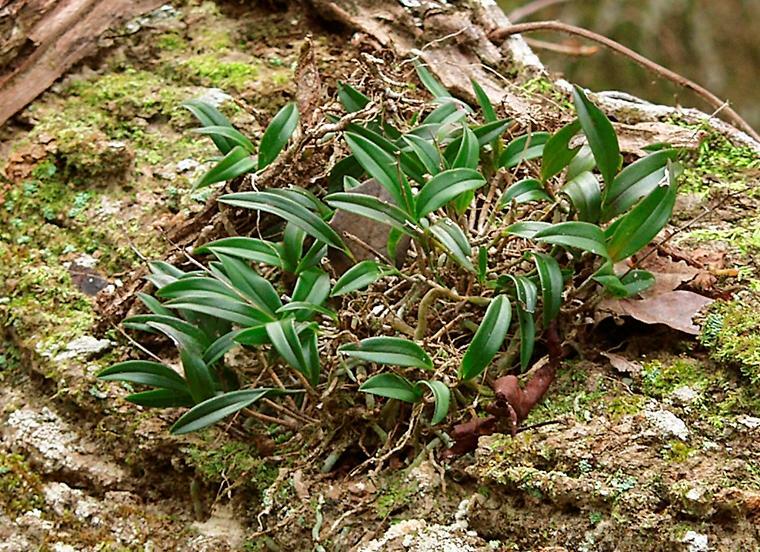 Epidendrum magnoliae, the Green Fly Orchid, is a frost-resistant species and the only epiphytic orchid in the United States that occurs outside of Florida. The flowering period is August-March, however, it can flower sporadically throughout the year. 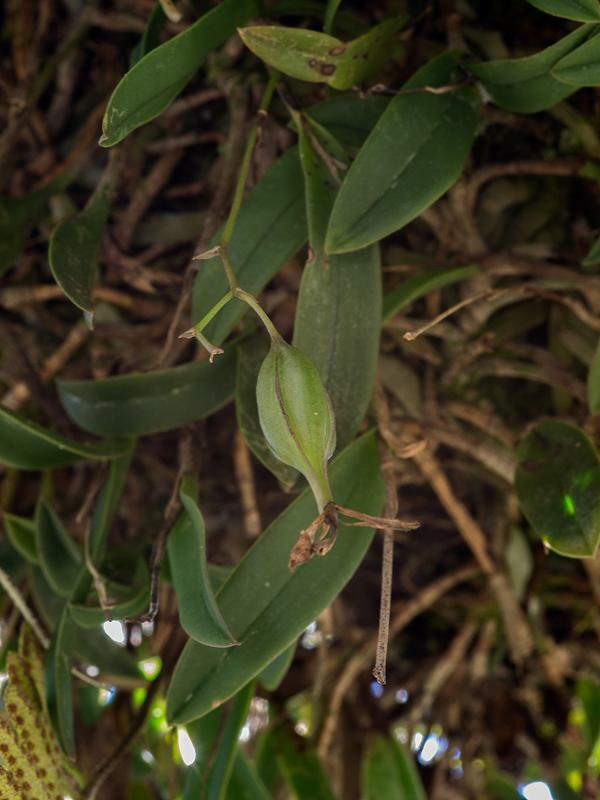 This orchid produces 2-3 lustrous, dark green, coriaceous leaves and 1-18 yellowish green flowers that form a loose terminal raceme. 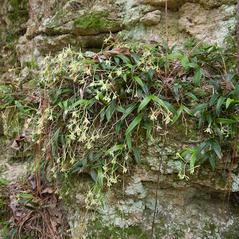 The lip is 3-lobed and the column possesses two prominent pink tubercles. 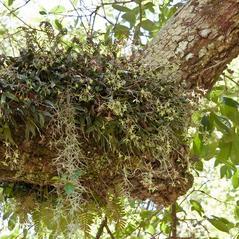 Large colonies can be found growing on a variety of trees, primarily live oak, but may be hidden by ferns that often share the same tree branch. 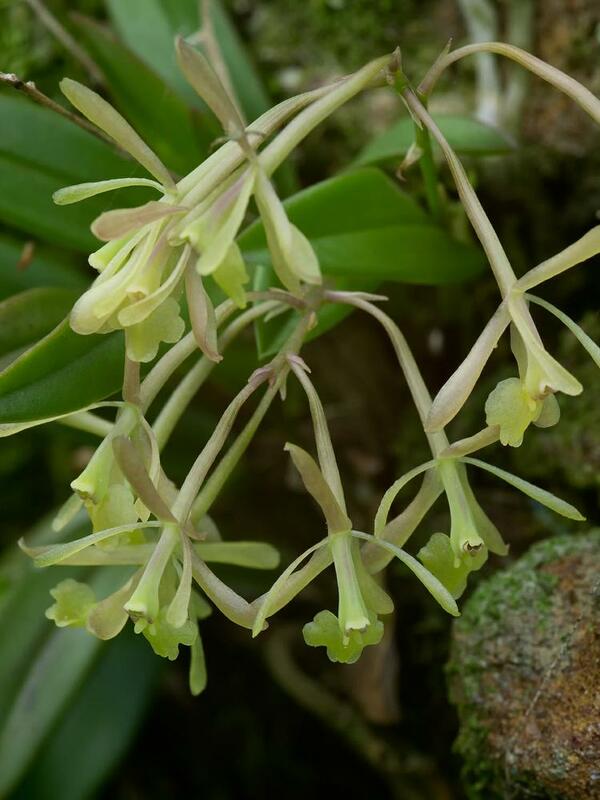 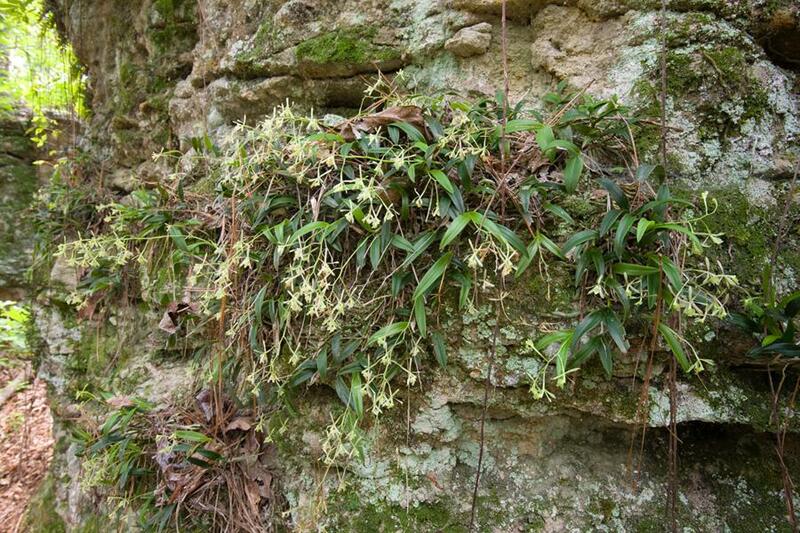 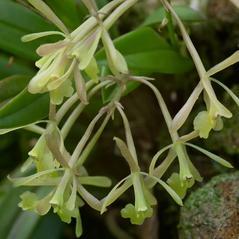 Epidendrum magnoliae is apparently secure, although in some parts of its range it is threatened by habitat destruction such as clearing and draining swamps and by overcollecting. 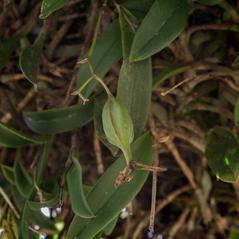 This orchid is suspected to be pollinated by nocturnal moths.